This post is sponsored by Ethos Chocolate, but as always all opinions are my own. Thank you for supporting the brands that help make this blog possible. I read through the ideas with London today and he choose some of his favorites. He’s big on celebrations (no clue where he gets that from 😉) and couldn’t wait “all the way til’ Valentine’s day” to start spreading kindness. So we started putting together the valentine’s treats we’re giving this year called Ethos Chocolate. It’s our way of supporting a more sustainable option for chocolate. Ethos Chocolate uses GMO technology to preserve cocoa beans. Most people (including myself before doing more research) give GMO’s a bad rep—associating only bad chemicals and toxins with it. But GMO’s actually provide a lot of benefits for farmers, including the use of fewer pesticides and a controlled amount in the foods we consume. 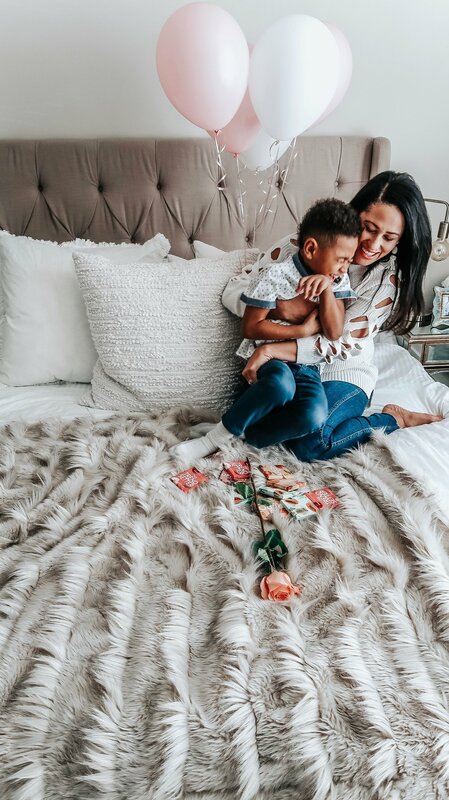 The family farmers from A Fresh Look created Ethos Chocolate with a mission to educate moms about the benefits of GMO farming. 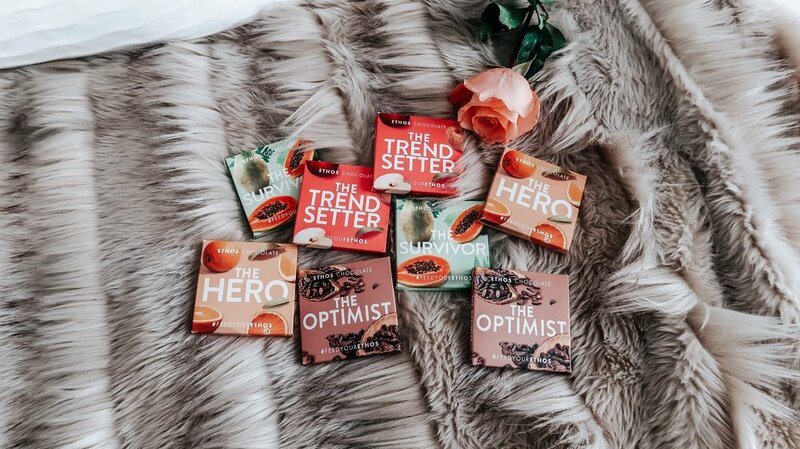 There are four flavors which they’ve named: The Optimist, The Survivor, The Hero and the Trendsetter. The Optimist is cacao flavored and represents the optimism they have for the protection of cacao trees thanks to GMO’s. The Survivor, a refreshing and subtly sweet tase of papaya + chocolate represents the surviving papaya GMO’s saved after a virus nearly wiped out Hawaii’s Rainbow papaya. The Hero, a orange & chocolate blend represents the hero GMO’s will be once Florida’s oranges are saved from the citrus greening disease. And lastly, the Trendsetter (my personal fave), is an apple blend that represents how GMO farming has paved the way to non-browning apples that stay fresh longer and cut food waste. Ethos Chocolate is not only good for you, it’s also heart-day approved! So this Valentine’s Day, do yourself a favor and buy the kind of chocolate that makes a difference. ♡ Check them out HERE! There is only a limited supply, so you want to order by February 10th to receive it in time for Valentine’s Day. 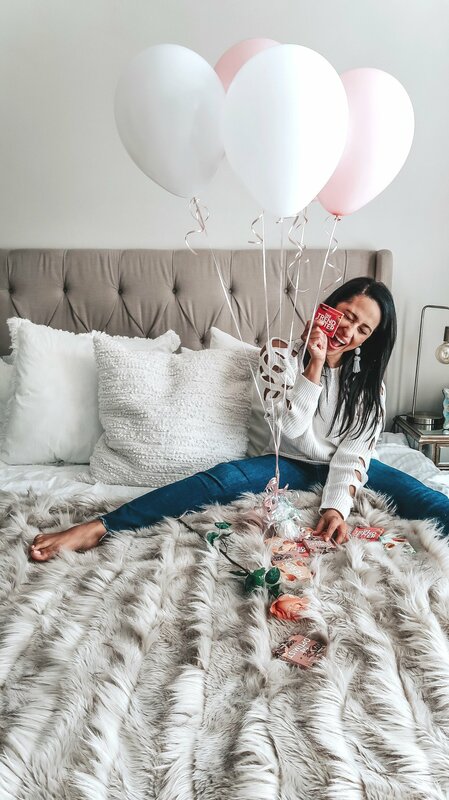 What are you sharing this Valentine’s Day? Tell me in the comments below! XO.